Our print shop can service all of your printing and design needs. Our graphic designers can assist you in the creation of promotional displays and marketing brochures for products and services. They can help you develop distinctive logos for products and businesses, create visual designs for annual reports or other corporate literature, and develop the overall layout and design of newsletters, catalogs, receipts, business cards and many other publications. For T-Shirts, sweatshirts, tote bags, vinyl stickers, magnetic signs and more, our screen printing services can get your images printed on many kinds of fabric and materials. If you don't have a design in mind, but know that you want new apparel, no problem! Our team will help you create a design to make your vision come true. Feature your logo, name, design or monogram on many different kinds of products – personalized jackets, polo shirts, sweatshirts, baby blankets, towels, Christmas stockings, seat covers, hats and more. You can bring in the items or we can order them for you. Recently, we purchased a new embroidery machine that allows us to embroider four items at once. Our laser provides us the ability to engrave on glass, wood, plastic, leather and other materials. 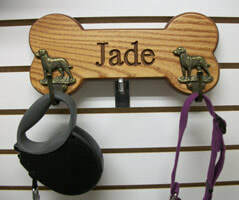 We have engraved items such as flashlights, pens, vases, name tags, glass awards/plaques, wine glasses, bottles and more! Commercial and industrial services for small and large businesses are also available.